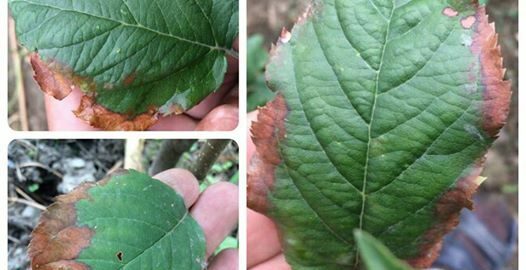 Drought causes nutrient deficiency which is visible on leaves of plant. With every season plant show some or the other deficiency or react as per the climate usually most of the cases come when plants are getting too much water (Monsoon) or not at all (drought). What can cause browning of leaves from edges? 1.Drought stress causes wilting, yellowing of the leaves, advanced leaf fall, and premature fruit ripening or fruit drop. 2.Excessive amounts of nitrogen reduce the uptake of phosphorus, potassium, iron and almost all secondary and micronutrients like calcium and magnesium iron, manganese, zinc and copper. 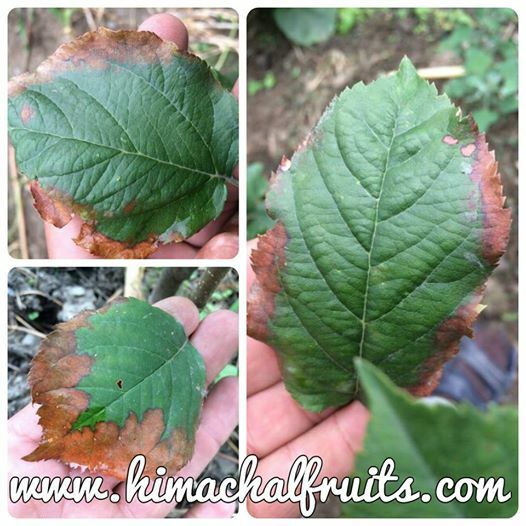 3.Potassium Deficiency-the optimal pH for nutrient uptake by apple trees is slightly acidic, a pH level of 6.5 to 7. Excess nitrogen fertilization also increases potassium deficiency leaves becomes brown and boat shaped.